Gio Goi is back in the hands of the co-founders and is resurgent. In part, this is down to Chris’s design eye and in part it’s the pure enthusiasm and drive that the Donnellys put into anything they do. Chris: I first got into fashion at the young age. In ’77 when punk broke, I was nine and I was the only primary school punk in our area. In 1980, I was 11 and I’d been out at a friend’s, I had to get a bus back home. I got on the 105 back to Benchill, I sat down – and there was a discarded newspaper on the seat next to me. 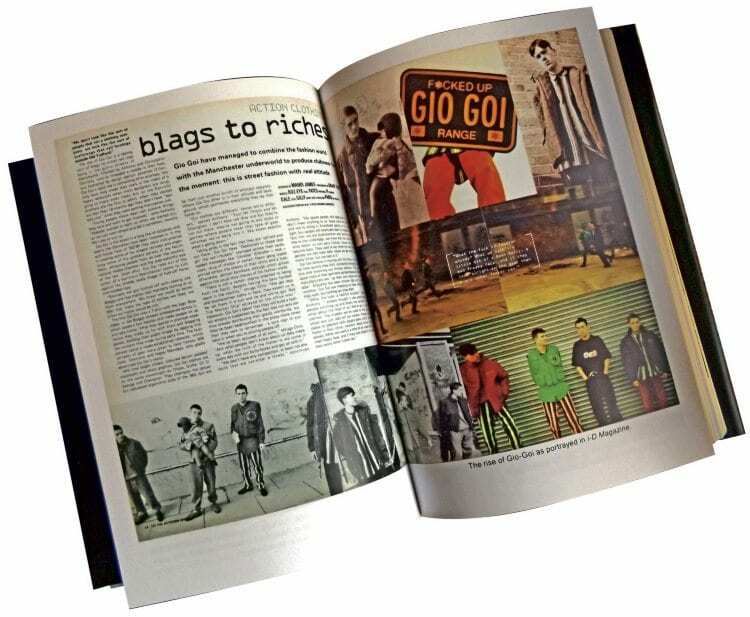 I’m not a reader – and newspapers even less, but for some reason I just picked it up and opened it, by pure chance there was a double page spread on the ‘second coming’ of the Mod movement. I remember looking at the images of these smartly turned out kids and thinking ‘I’ll have a bit of that’. 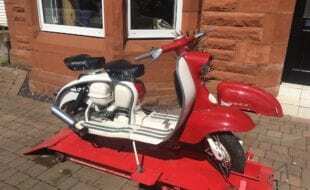 At the time, I was too young for a scooter, but I got heavily, heavily immersed in the two-tone vibe. Specials, Selector, the lot. 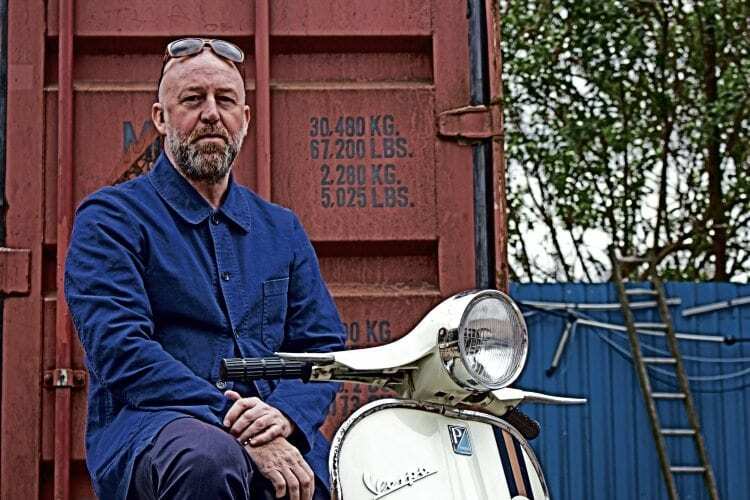 The gear I bought at the time was two-tone trousers, college shoes, white socks and a Fred Perry; I even bought a Parka from ‘Oasis’ in Manchester city centre. I was engrossed in the whole thing. Every Thursday there was a Mod/ska disco in Woodhouse Park, at the church hall Temple Mead — a two-tone ska night. It must have seemed quite strange for the older kids in there, when my mate and me turned up. We were dead young and must have looked like a couple of hobbits in there. So… yeah. I’ve always been into that sort of look. To me, there’s always been a crossover between good music and good fashion, always; it’s just a natural fit, isn’t it? 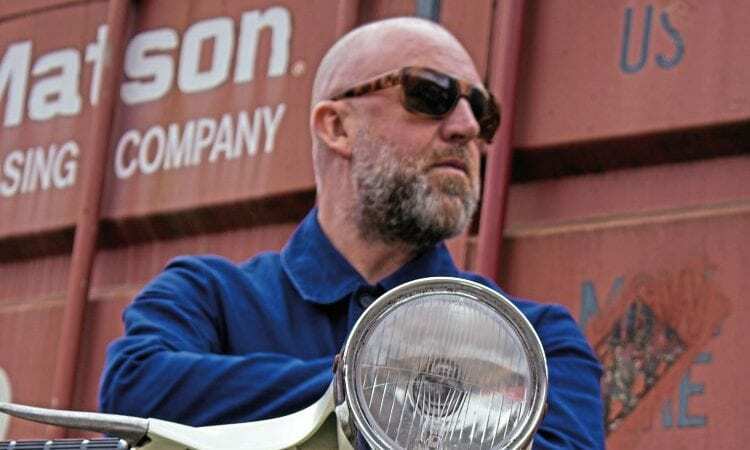 Being into fashion, as I got a bit older, my styles evolved and a more ‘casual’ look was preferred, by the time I got to my early 20s I wanted to do something, but I wasn’t sure quite what. When Acid House kicked in Manchester it totally sucked me in. Back then, there were some fantastic places to go out to, like The Kitchen in Moss Side, where Kermit (Black Grape) was the DJ. The music was off the wall. The Kitchen would be a late night follow on after the Hacienda shut at 2am. Things were happening really quickly from week to week. Even though it was all just word of mouth, no Internet, no mobiles, nothing like that, but word just got about. I remember having a smiley face T-shirt, this was way before it all went smiley face silly and aceeeed. Then, it was like being a member of a secret club, you’d see someone else in the street with a similar haircut, style of dress or T-shirt and you’d nod, or let on to them, it was a bit like a secret society. This was about the time Gio Goi came about. 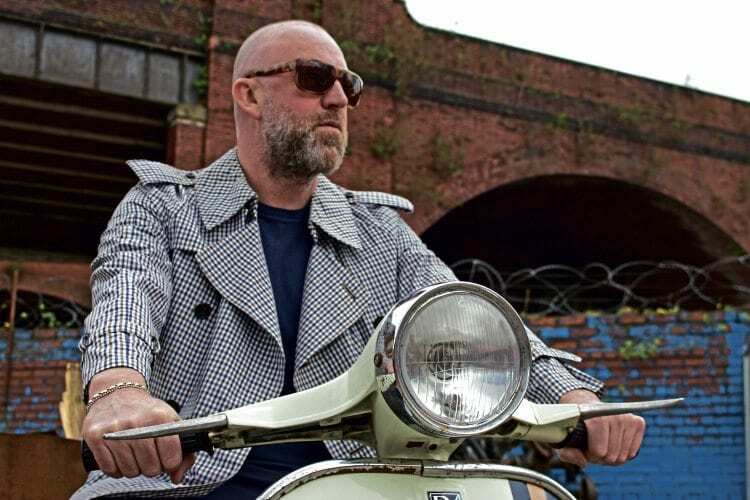 There was a lot of clothes churned out to jump on the Acid House band wagon, but none of it was done by anybody who was actually involved with, or had any emotional connection to the scene as it was. We were the real deal, passionate people living out our passion. We brought out Gio Goi to right a wrong as we saw it. Then the Acid House thing ended as quickly as it started. I came back from Ibiza in ’88 and it was being bastardized on Top Of The Pops. That was the beginning of the end for me. Nevertheless, Gio Goi was taking off… it was total madness and carnage. We went from zero to £10 million in the first year. I was 22 and my head was spinning. We had the best cars you could get and we still lived on the estate where we had been brought up. We used to park our super motors outside the Benchill pub, this attracted a lot of police attention and in hindsight, we loved rubbing their noses in it. 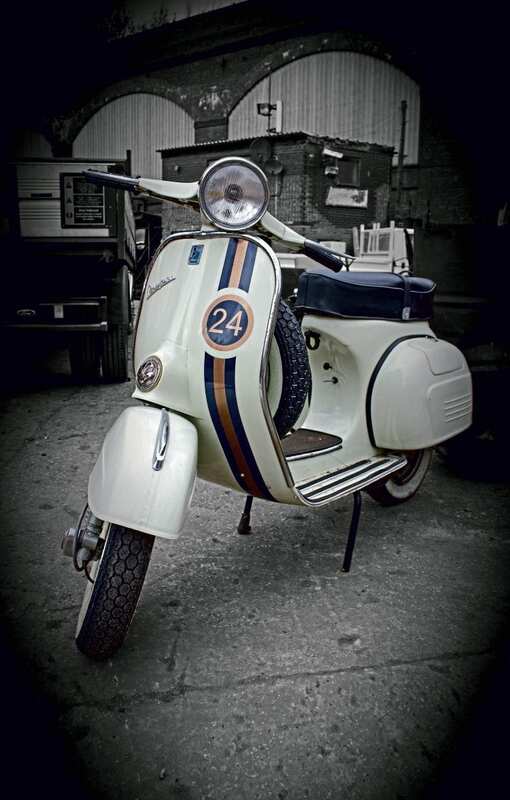 Gio Goi was growing like mad and life was as hectic, if not more so, than it ever had been, and by the time I got to my late 20s I’d got back into scoots and bought myself a brand new PX, the reason I bought a new edition one was simple, I wanted to ride it, not push it. The first thing I did was swipe off the mirrors. They ruined the line. It’s all about the style. 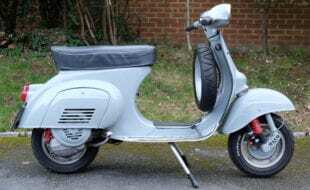 I’ve always preferred the lines and shape of the Vespa to the Lambretta. Lambys always looked a bit ‘skinny’ to me and they weren’t the most reliable of machines either. But it’s all personal preference, isn’t it? I didn’t have my nice new PX long before it got nicked. So I went and got another, exactly the same as the first. Life was brilliant. The offices of Gio Goi had moved to London and we’d bought a pub The Prince Of Wales which was voted best rock ‘n’ roll pub in the UK, and we’d only been open nine months! But we knew how to party — and we knew how others liked to party too. 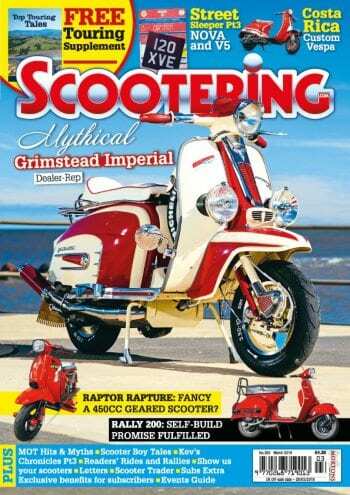 It was total heaven flying round the city on a scoot. The second PX went the way of my first. Nicked. No matter the amount of modern locks and stuff, someone had away with it. 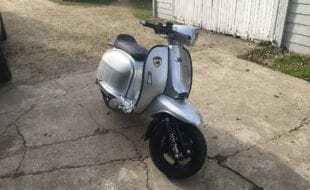 It’s funny, but the scoot I’ve got now has no security whatsoever — and I’ve had it longer than any I’ve ever had, that tells you something doesn’t it? 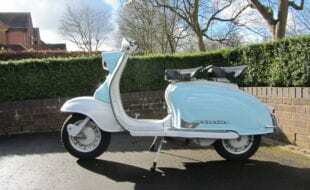 It’s a 1965 Vespa Sprint, it’s a 125 and it was built up for me by Armando’s in Sheffield, we had it put back together in its original colours. 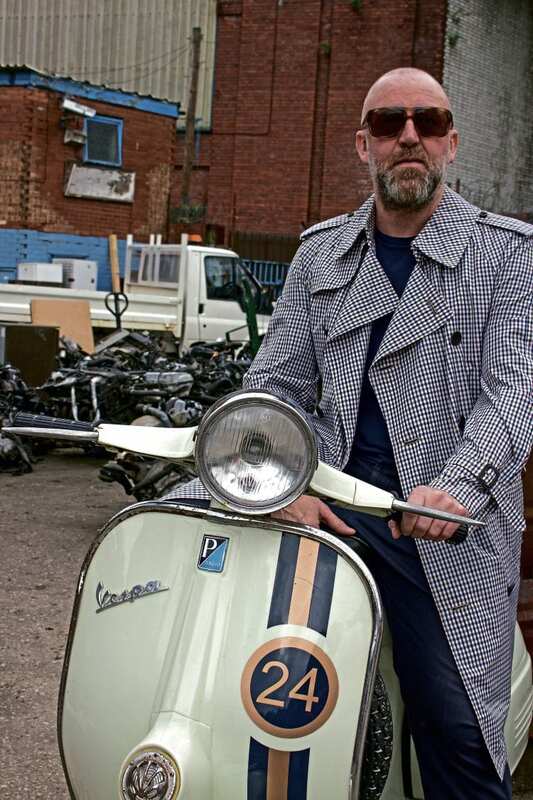 Uber cool and no mistake. 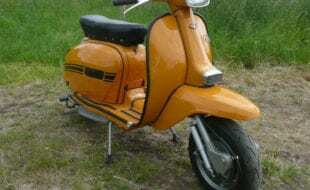 Looking at the scoot, you’ll notice the number 24 on it. Like everything I do, it’s done for a reason. 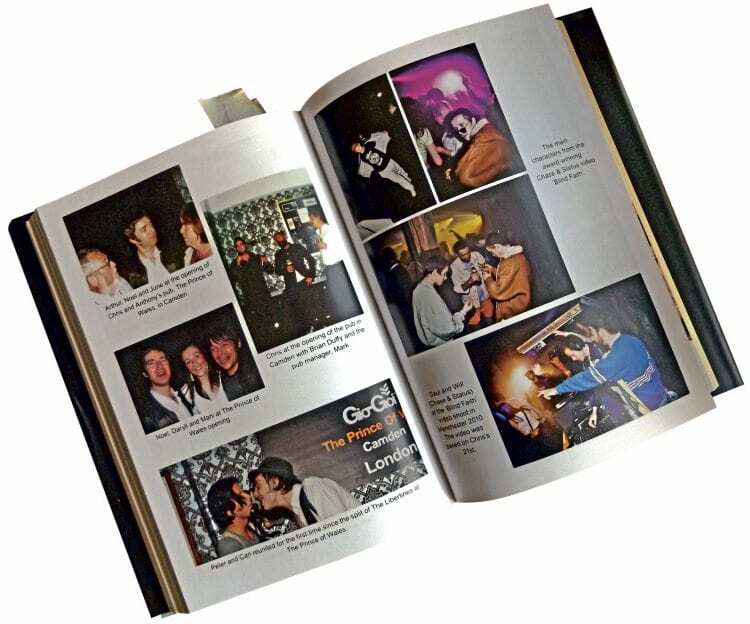 Most assume it’s a nod to 24 Hour Party People… Well, you could read it that way, but the real reasons are far, far more personal. I was born on May 24, my middle name is Gene, named after my aunt, she had died years before I was born, and her birthday was on the same date. 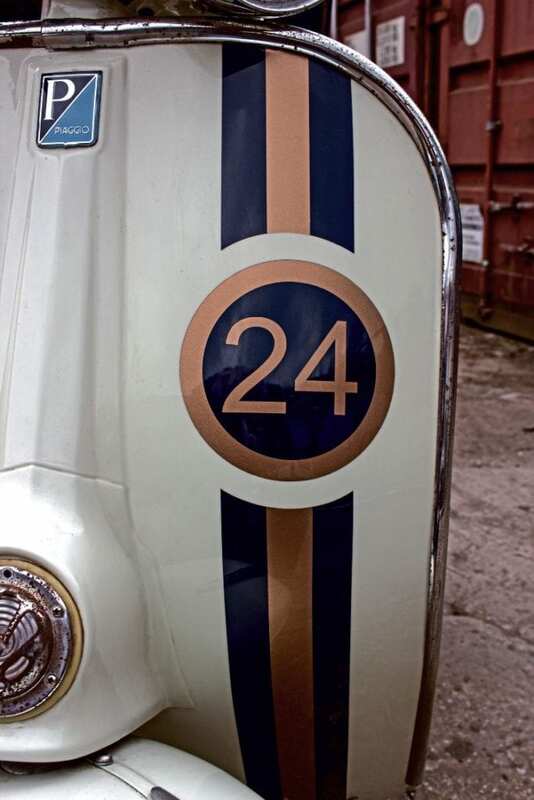 I’ve also lost a couple of good friends on the 24th of a month, so that’s why my scoot has 24 on it and the name of one of our companies is Donnelly 24. It’s a nod of respect. Instead of shying away from the number, I’ve embraced it, claimed it and called it my own. 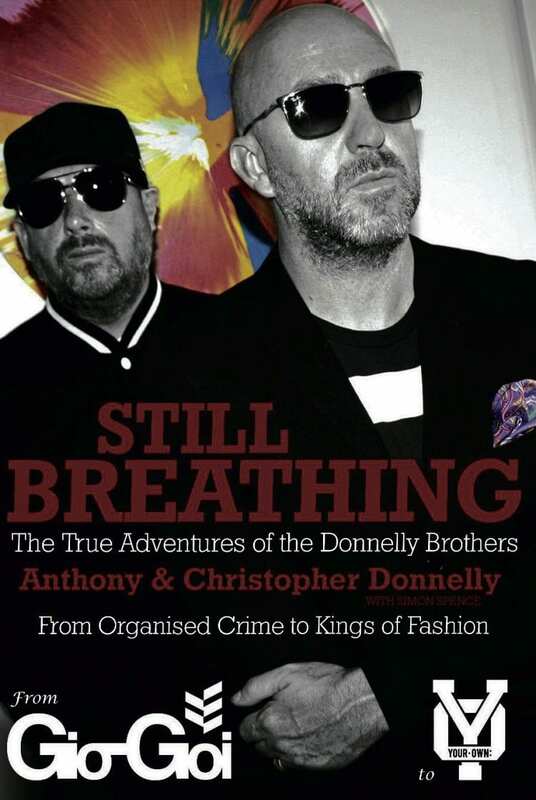 It’s quite well known that my family has had a colourful past, my brother and I brought a book out about it Still Breathing — The True Adventures of the Donnelly Brothers. Yep, it’s out there, available on Amazon and anybody whose read it will tell you it’s a good ride. We’re in negotiations with a TV company about a serial based around it too. 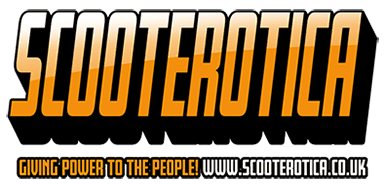 We’ve just got full control of Gio Goi back in our hands and even though we aren’t a Mod brand, it has a Mod kind of ethos, so as and where we feel it’s appropriate, we slot a Mod slanted style into the range, there’s a certain brand of scooterist who follow Gio Goi too. 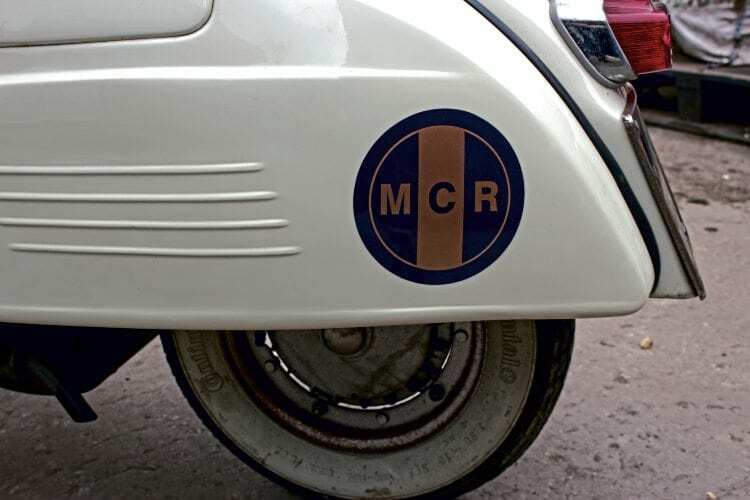 There are even a few scoots knocking about with our logo on them. 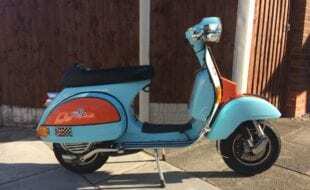 I’m at the age where I think I appreciate the scooter more than I have at any time of my life before. 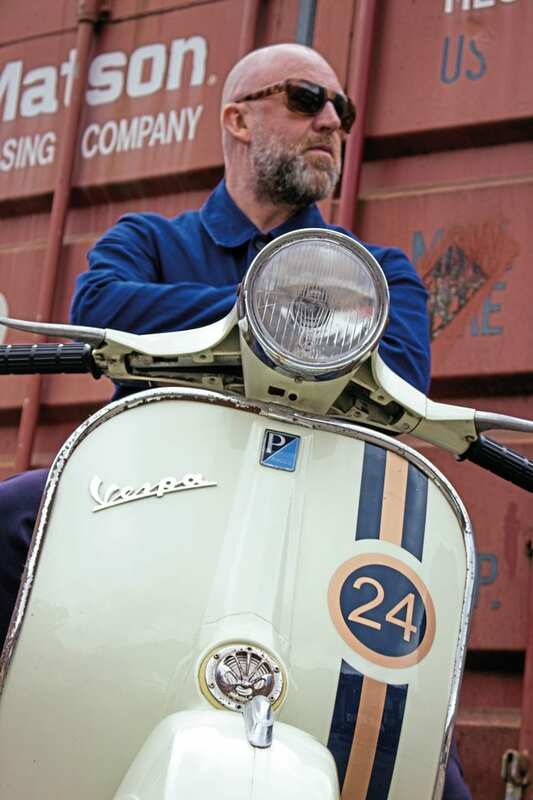 There’s nothing better, nothing cooler, than when you see one of those classic images of some sharp suited guy posing on a scoot, beautiful shades on, set in an Italian summer background. Perfect. Granted, there’s not much scope for that over here, but you can dream, can’t you? 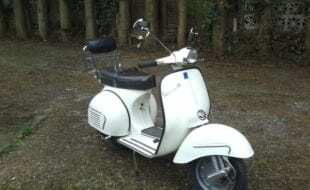 Gio Goi has only been home with us for a few months and things are looking favourable for it, ultimately what I want to do is open a scooter and fashion store, don’t get me wrong, there are some brilliant scooter shops about, but I want to put a 21st century twist on it. A kind of Mod-casual blend — a module as I call it, yeah, a blend, like a fine whisky.